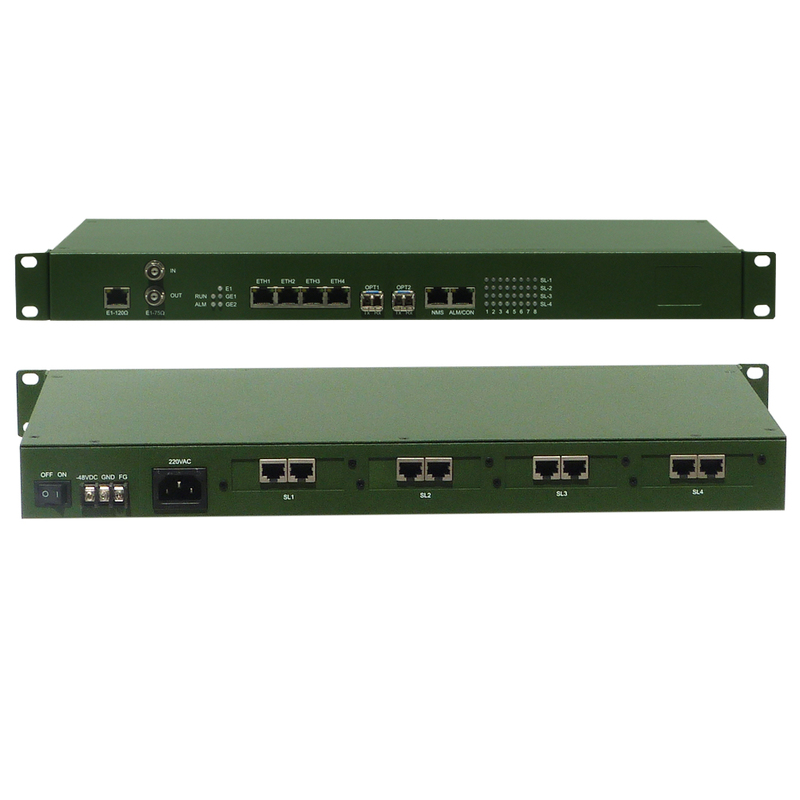 PT-50T 1308 FXO/FXS voice to fiber pcm mux equipment adopts 1U height standard 19 inch rack mountable case. In such small spacing, it provides 2 x uplink Ethernet interface , 4 x downlink electrical Ethernet interfaces,1 x E1 interfaces, as well as 30 data / voice channel service access interfaces. One dedicated ETH NMS interface and one alarm interface. The maximum 64Kbps access capacity of the PT-50T-1308 has powerful 256 x 256 cross matrix for all types of channel connection. Ø Front panel E1 support s 75ohm or 120ohm;it can transfer voice and Ethernet data at the same time. Ø System provides 2 x 100/1000M Ethernet interface; user can put SFP optical/electrical modules. 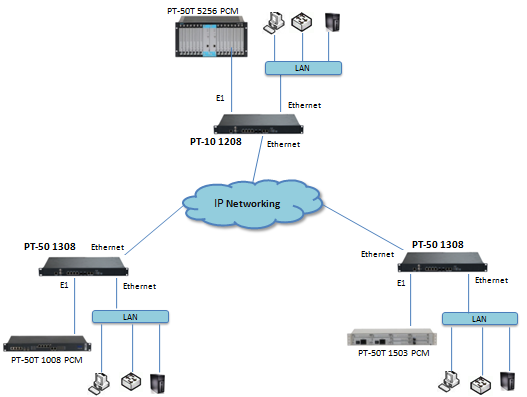 Ø Voice and data can transfer over IP point to point or point to multipoint application. Ø Support echo canceling function. Ø 100M Ethernet port support VLAN. Ø The power supply can be AC220V or DC-48V or AC220V + DC-48V. 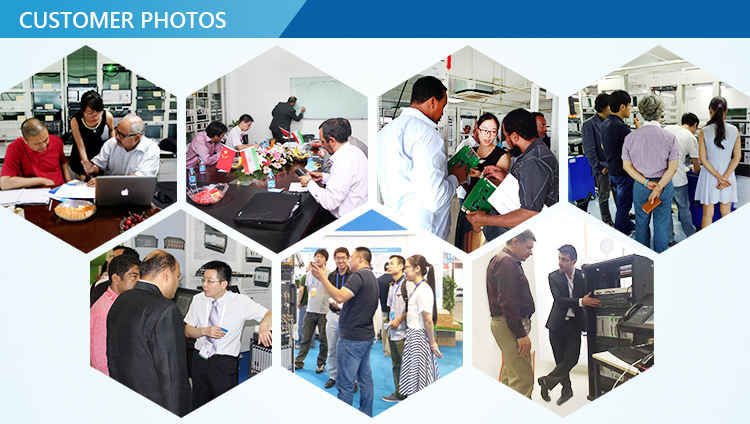 7, for HDSL, our HDSL is in low cost design, and have good ferformance. 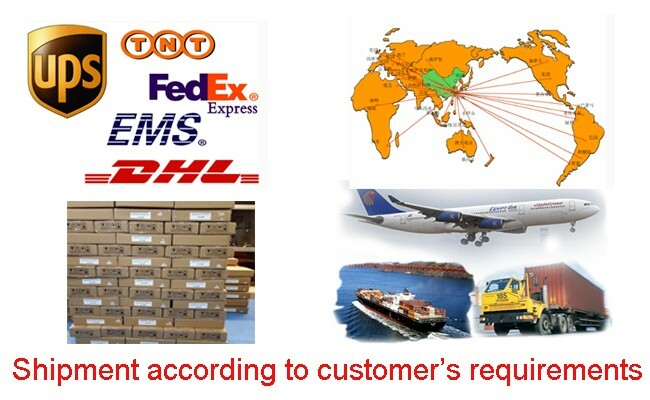 if any requirements from your customers or yourself, please tell us any time, we will do our best for you! 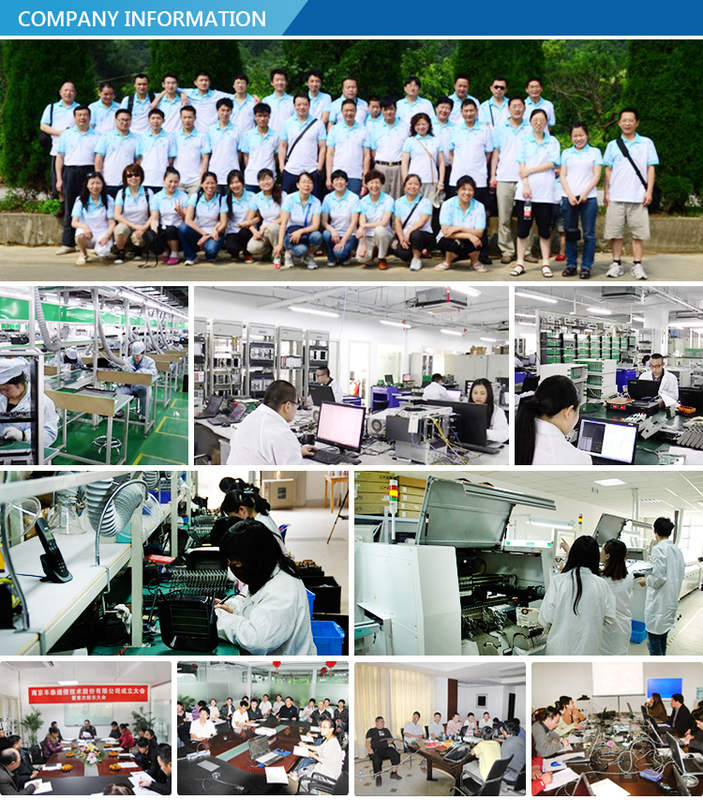 Nanjing Photel Communication Technology Co., Ltd.